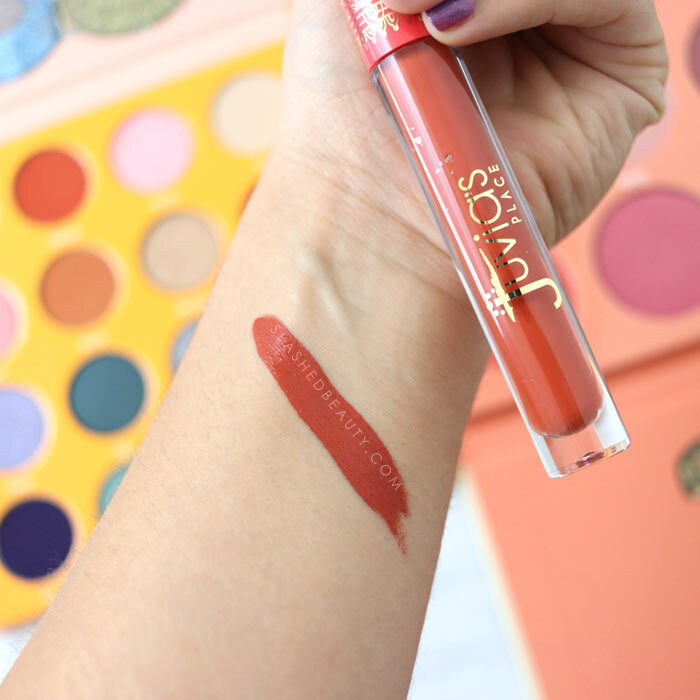 Juvia’s Place was a brand that I had seen floating around the internet, but hadn’t bit the bullet to try their products. But after they announced their new availability on Ulta Beauty’s website, I knew it was time to dive in and explore the brand. My Juvia’s Place collection went from zero to now including two eyeshadow palettes, a face palette and a liquid lipstick that I am already obsessed with. 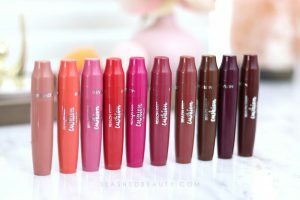 From my first dip into the shades, I knew I was wrong to sleep on this brand. For reasonable prices (the palettes range from $18-25ish), you’re getting quality that is out of this world. Pigmented, smooth, blendable and long-lasting… these products basically check off everything I want in makeup. First of all, let’s just admire this absolutely gorgeous packaging. The Juvia’s Place palettes are cardboard with beautiful artwork on the covers and inside. I love the illustrations of the beautiful and powerful looking women! 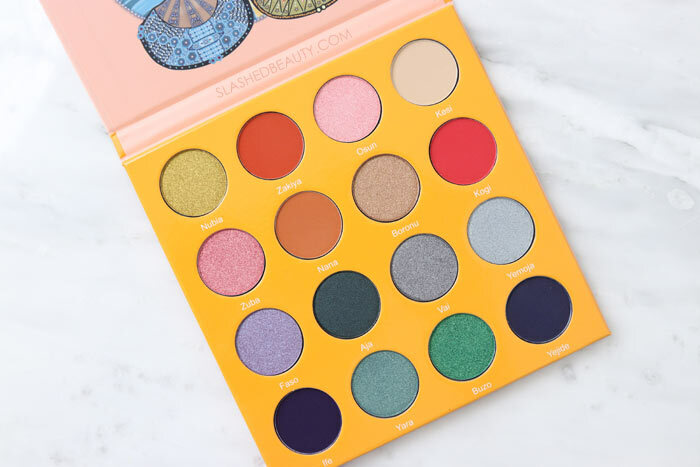 The first palette I want to highlight is the Juvia’s Place The Warrior Eyeshadow Palette ($20). 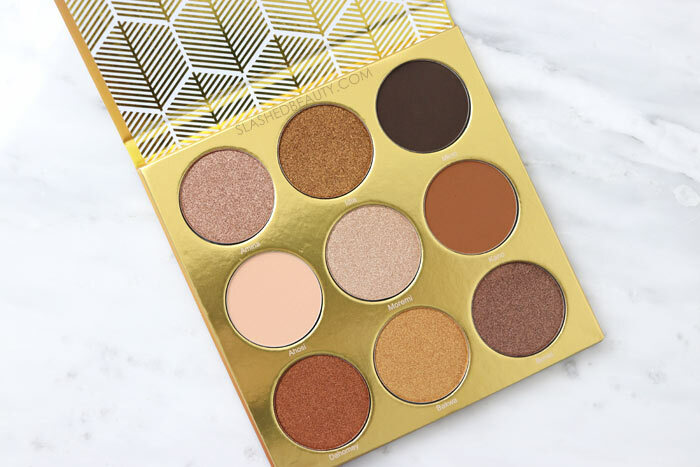 This is a nine-shade palette that leans neutral with vibrant pops of gold and bronze. 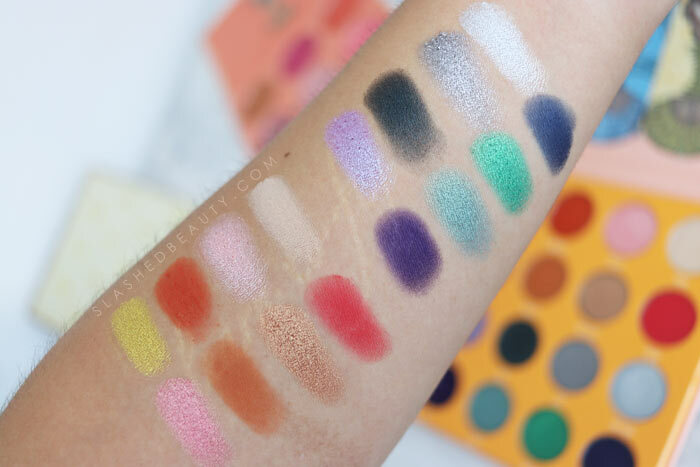 Beware: the satin shades in this palette will probably make your heart skip a beat. I have never seen or felt such a smooth and pigmented shade at this price point. They literally feel like luxury shadows, and look like them too! Bakwa, the gold shade, is my absolute favorite as it applies like butter and is completely opaque in one swipe with an intense reflective finish. 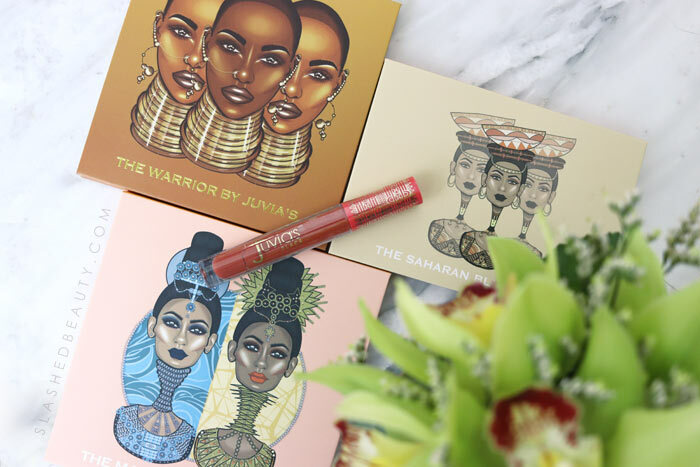 The Warrior palette contains six satin shades, but with three matte staples that will help you add dimension— a must in my book! I’m so glad they thought ahead because you can truly do your full look with just this palette. Next, I have the Juvia’s Place The Magic Mini Eyeshadow Palette ($25). In my opinion, there’s nothing mini about this palette at all! The shades are about half the size as in The Warrior palette, but are what I consider to be standard size with most other brands. Either way, you get 16 shades that range from bright to sultry to neutral. 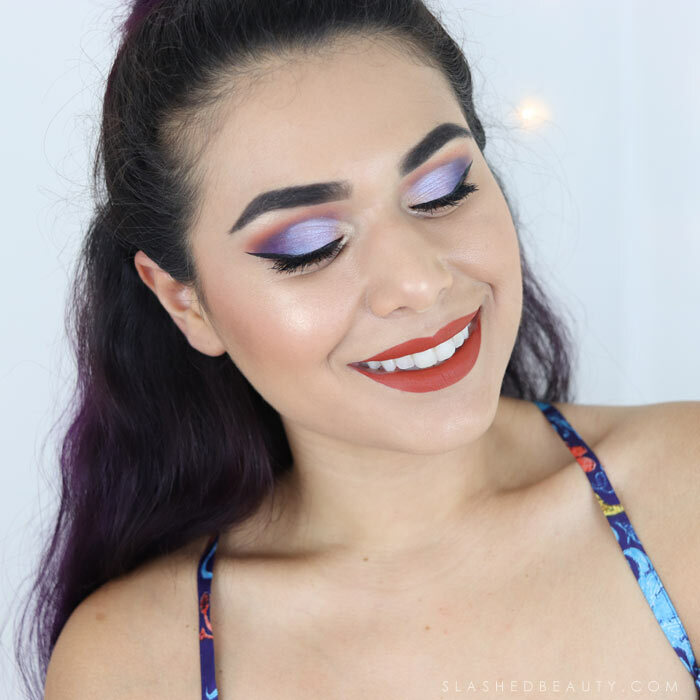 I’ve really been trying to push my personal comfort zone and wear brighter eye looks, but it can definitely be hard to find shadows that make an impact at an affordable price. Well, this is it. Not one of these shades disappointed me. The mattes layered up to opaque quickly, and the satin shades were one-swipers. The best part about this palette for me is that blending these bright shades together was easy without creating muddiness or losing vibrancy. And the pigmentation actually lasts when worn over primer. 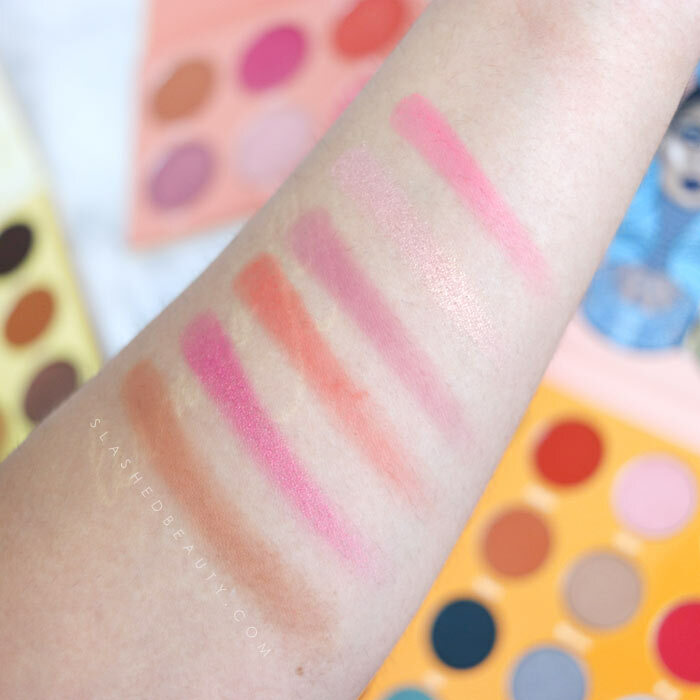 This is another palette that has just enough mattes across shade tones so that you can finish an entire look in this one product. 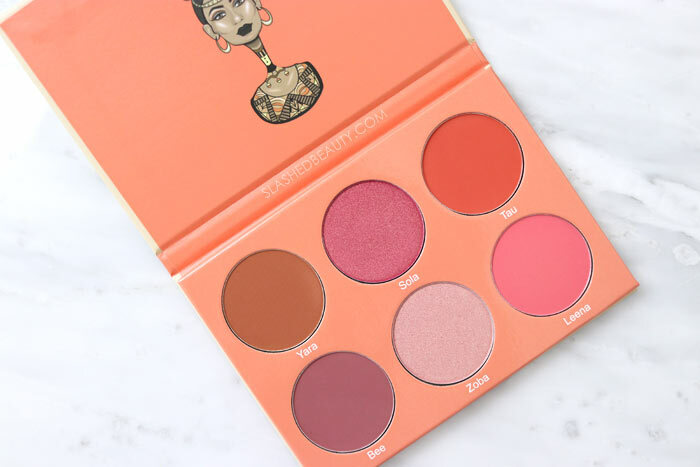 I was excited to try the Juvia’s Place The Saharan Blush Palette Vol II ($18) because the shades looked like they’d work well with medium/deep skin tones, which is surprisingly still very hard to find in palettes these days. I’m often stuck with shades that go on too light for me, even though I consider myself to have light/medium skin! This palette has six large pans with both matte and shimmer shades. I love using the orange and bright pink shades during the summer, but I’m totally going to be rocking Bee (a plummy mauve) once fall hits. We also have a warm brown that can definitely be used to bronze or contour, and Zoba is a light pink that translates as a highlighter for my skin tone. Finally, I tried one of the few lipsticks they have listed on Ulta Beauty currently— the Juvia’s Place The Festival Lipstick in Soil ($12). I seriously cannot describe to you how good this liquid lipstick feels. Dare I say, it might be the most comfortable matte lipstick I’ve worn?? It just feels so silky when you apply it to the lips, and even as it sets, it stays comfortable— never tight or dry. You get a flat matte finish that looks great in this terracotta color. 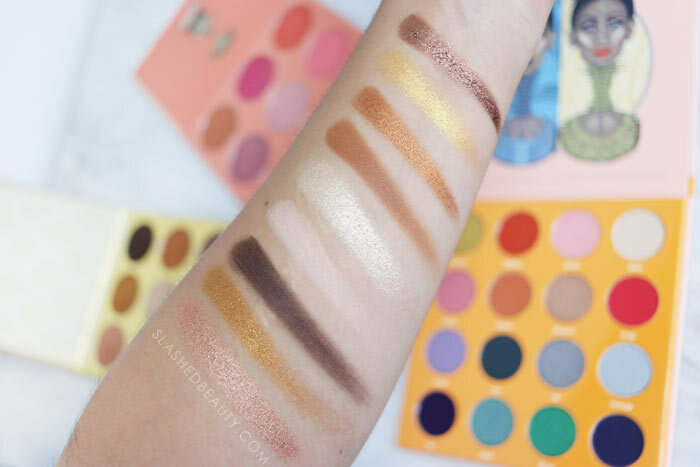 Overall, I’m honestly kicking myself for not exploring Juvia’s Place sooner. Their prices are absurd for the quality you get. 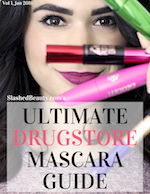 I’m so excited about their launch online with Ulta Beauty and am seriously crossing my fingers that they show up in stores sometime soon! 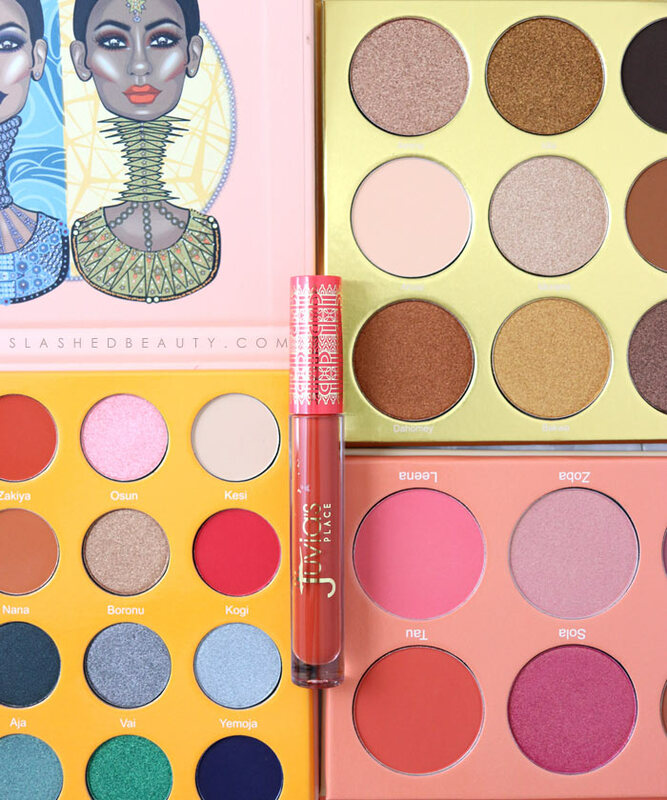 Have you tried Juvia’s Place yet? I have several of their eyeshadow palettes, and I think they’re phenomenal! I love the eye look you did here! Long time, no comment. Sorry, life’s been crazy for me. I hope you’re doing great.